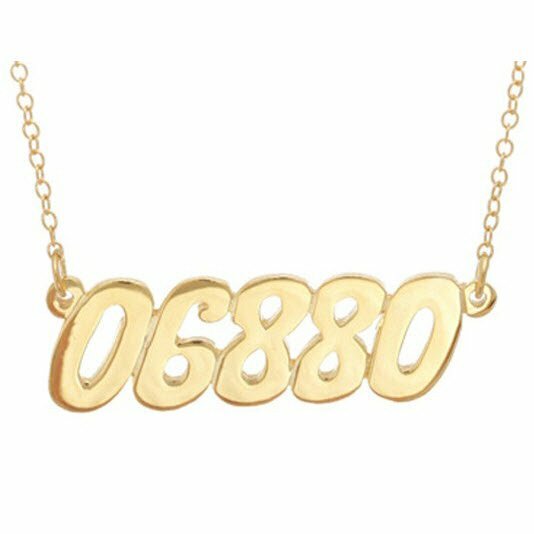 Represent or remember your favorite area in style with this Personalized zip Code necklace! Whatever location is special to you, always have it close when you are wearing this necklace. Or just use it for special numbers you want to remember and show off! Where you grew up, went to college, got married, met someone special, favorite vacation spot, want to live when you retire... All you need is the five digit zip code! Just type the numbers in the text block in the order you would like them. Price: $73.00 In stock! - Browse this brandOur products are custom made to your specifications. This product ships up to 3 weeks after your order is placed.